string(1081) "Resource Centre > Uncategorized > Workers’ Well Being Egypt Survey Report"
The Workers’ Well-being Survey focuses on five major areas of interest: access to safe and healthy environment; health and well-being; economic empowerment; equality and acceptance; and education and professional development. Workers’ aspirations were also included in the survey.The study was conducted in five countries: Haiti, Egypt, Pakistan, Bangladesh and Cambodia. 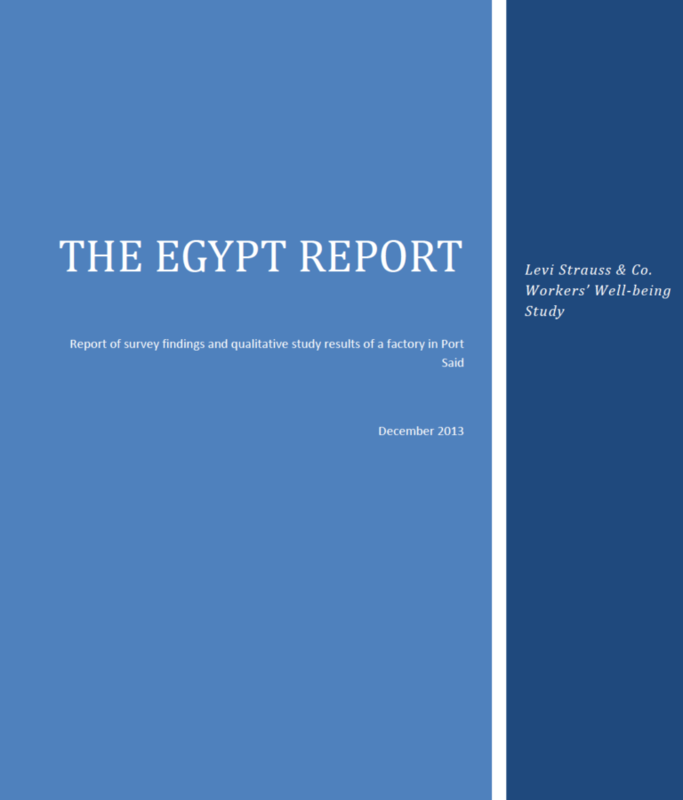 This report refers to the findings of the survey conducted in a factory in the Port Said region of Egypt. The survey used a questionnaire, developed and finalized through a consultative process involving a variety of stakeholders, that explored each of the areas of interest. Standard statistical procedures were followed to calculate the sample size for the study and to randomly select the respondents. The quantitative survey was followed by qualitative studies to further explain why workers, as a group, answered questions the way they did.